These seven vacation homes and cabin are located throughout Wimberley and the surrounding hill country. Featuring luxury vacation homes for up to 20 adults, cozy cabins, a vineyard estate, 30-acre ranch and even a country pavilion wedding venue. All the homes are pet and child friendly and each one has a variety of different amenities to choose from – pools, hot tubs, outdoor fireplaces, gourmet kitchens, river access, amazing views, and more. With tons of cabins and vacation rentals in Wimberley to choose from, it is hard to find one that is perfect for your romantic weekend, family vacation, group adventure, or wedding party. Heart of Texas Getaways has the best Hill Country Vacation Homes around, with seven vacation rentals in Wimberley to choose from including log cabins, beautiful Texas-style vacation homes and large ranch estates, you can find whatever style home you are dreaming of. 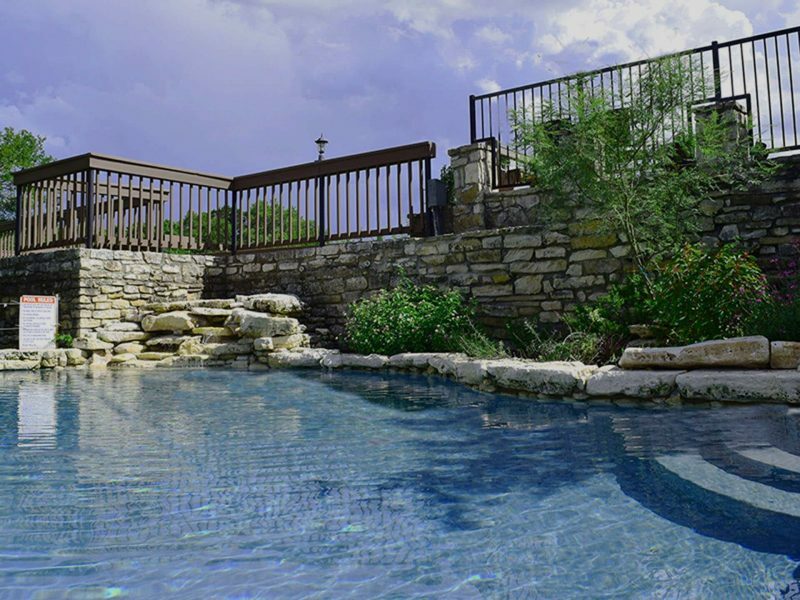 The owner of Heart of Texas Getaways manages the properties themselves to ensure the best service, cleanliness and amenities Wimberley has to offer. Cliffside Cabin: This romantic cabin on the river is within walking distance from downtown Wimberley and is perfect for a hill country wine-tour weekend for two. 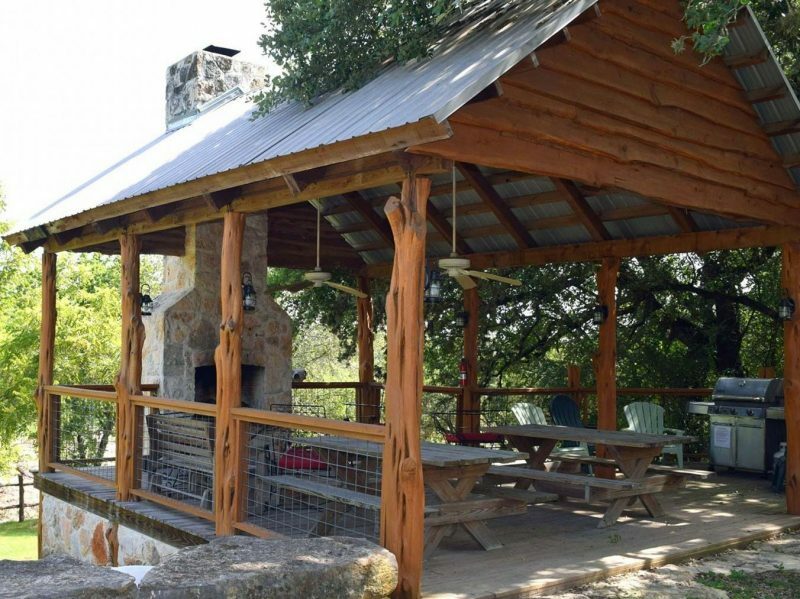 Hat Creek Cabin: This secluded cozy cabin with hot tub in Wimberley is perfect for a small family or group of friends. The cabin has one bedroom downstairs and a loft that sleeps 3 additional people. Cabin on White Wings: This log cabin with hot tub in Wimberley has a large deck overlooking a beautiful view of Lone Man Creek and the Texas Hill Country. With three bedrooms, the house sleeps up to six. Lonesome Dove: This large hill country vacation home for 16 guests sits across from the Blanco River on River Road in Wimberley and has a beautiful outdoor fireplace with picnic table and grill – gather the family around to enjoy the starry hill country skies. This home is wheelchair accessible. Flite Acres Ranch: This 30-acre ranch on Flite Acres Road is less than 1/4 mile from the Blanco River. Two homes on the ranch, Horse Creek and Cedar Creek sleep up to 16 people. Rent the homes separately or together – they share a pool and hot tub. Woodrow’s Inn: The largest property available, Woodrow’s Inn is a beautiful vacation home on a Vineyard in Wimberley with five bedroom suites including two suites with private entryway from the front and back of the house. Perfect for large groups or wedding parties, this 11-acre property is set on a vineyard with a wet-weather creek, large swimming pool, hot tub and multiple decks. Contact the folks at Heart of Texas Getaways about having your wedding or event at two of their locations. A rustic pavilion is being built at Woodrow’s Inn and Vineyard and will be a perfect romantic Hill Country Wedding Venue for up to 100 guests. Flite Acres Ranch also has a small pavilion for a rustic ranch style wedding.